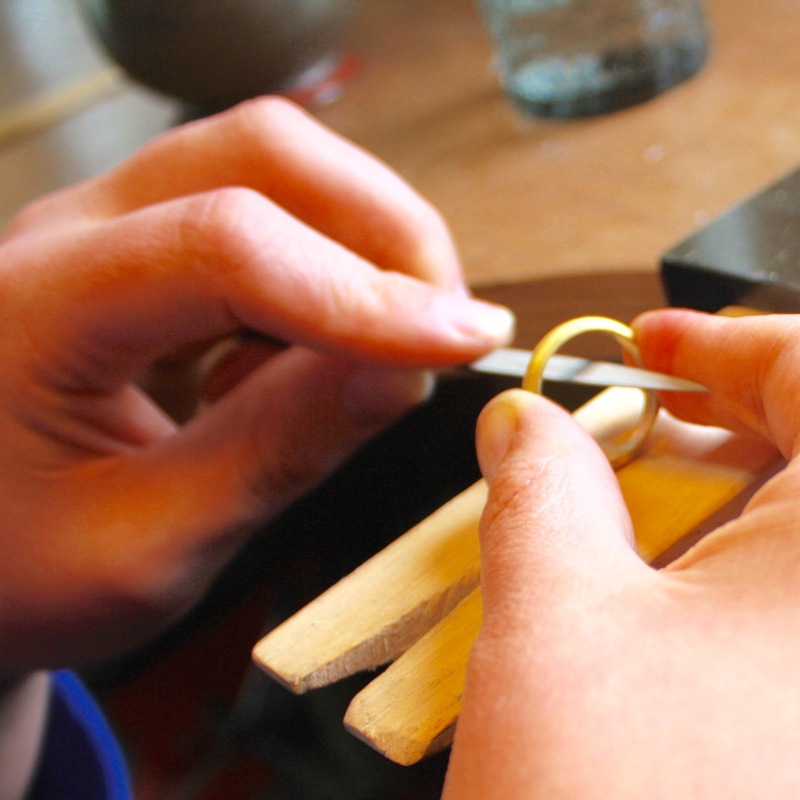 Make your own wedding rings in the romantic county of Cornwall. 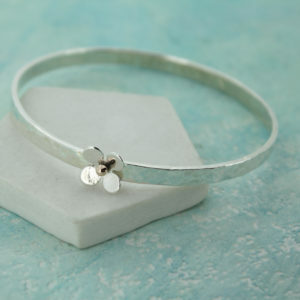 Come to my studio together and make a lasting token of your commitment. This is the perfect gift for a couple preparing for their special day. 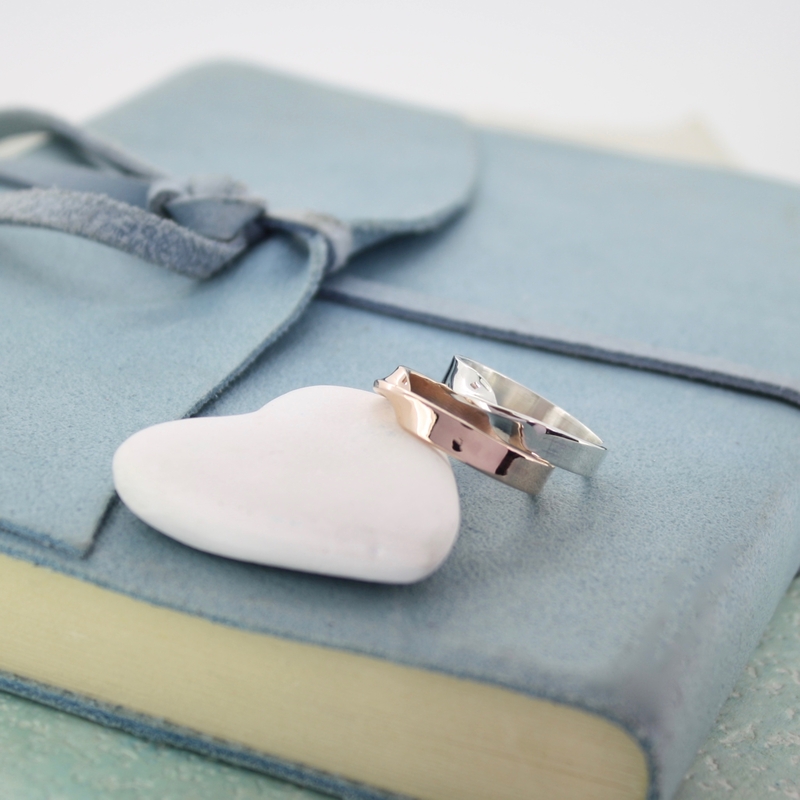 How romantic to receive this from your future bride or groom as a gift! You could also buy this experience for yourself, a friend or relative. 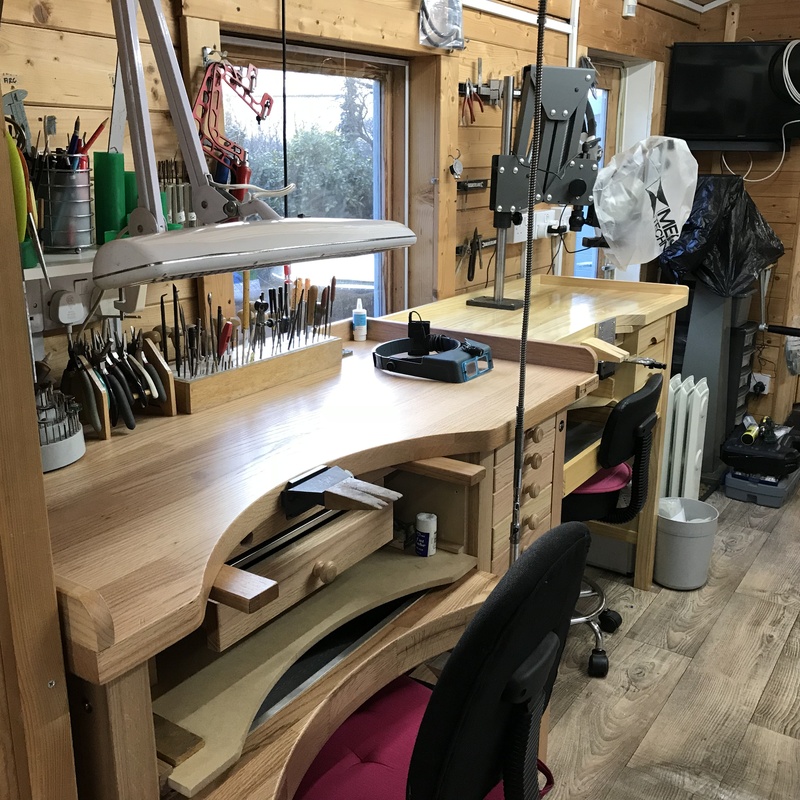 At my studio in West Cornwall you will receive up to 6 hours of my expert tuition and supervision in making your own silver or gold wedding or affirmation rings. THE PRICE IS FOR 2 PEOPLE and includes lunch and refreshments, plus photographs of your day. 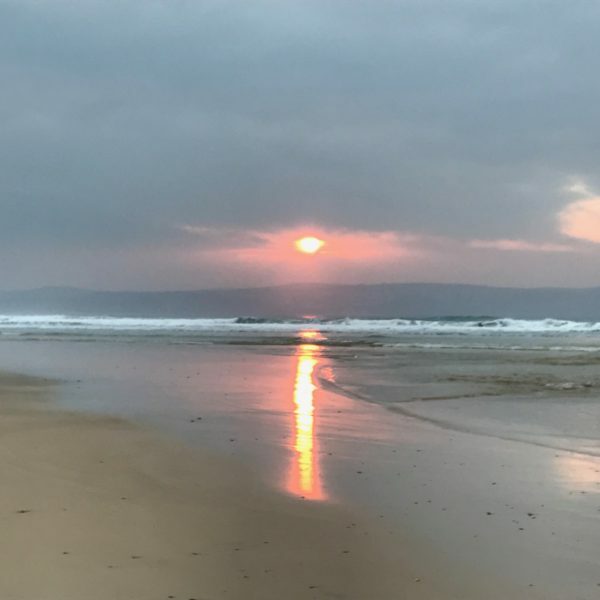 LOCATION: The location is Cornwall and the nearest railway station is Camborne, which is 5 minutes walking distance away. Ample parking is available on the road outside the studio or in the driveway. DURATION: Up to 6hrs. 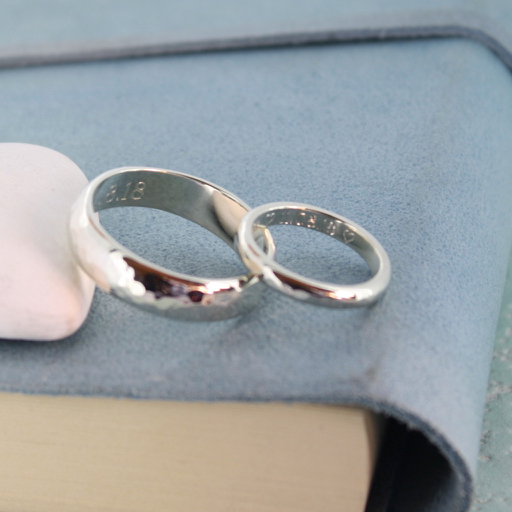 The day starts at 10am and ends when you are happy with your finished rings. 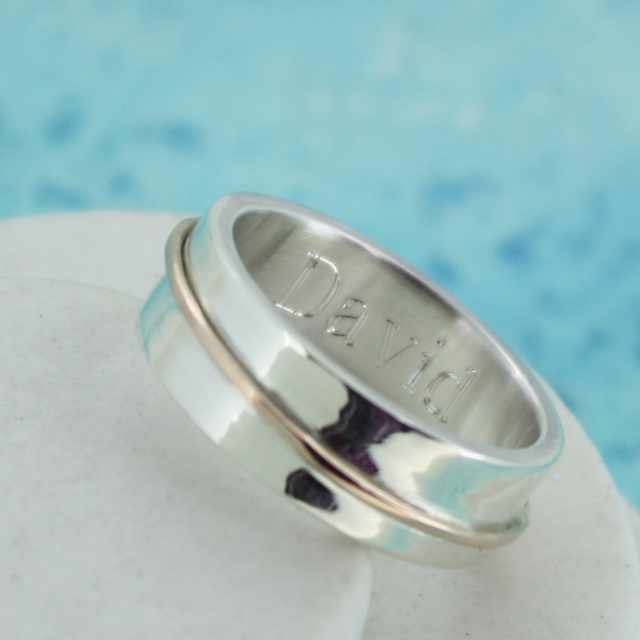 This experience includes 2 silver rings, personalised with your own special message, measuring 2mm, 3mm, or 4mm wide. 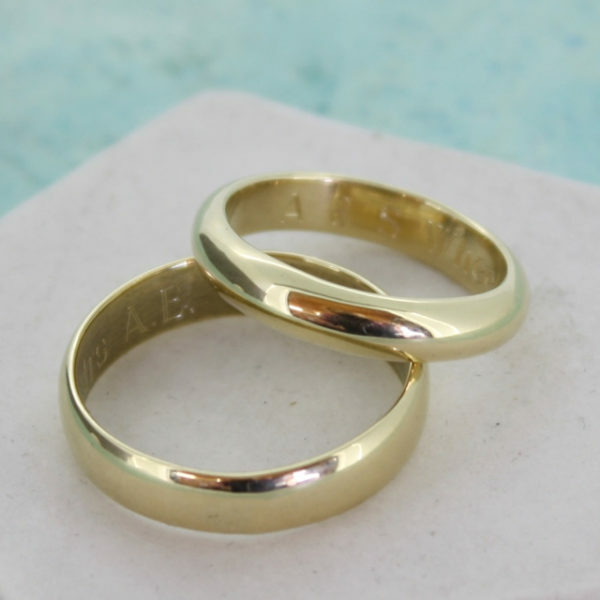 There is an additional supplement for making the rings in either 9ct or 18ct gold, which includes hallmarking at the Birmingham Assay Office if desired. 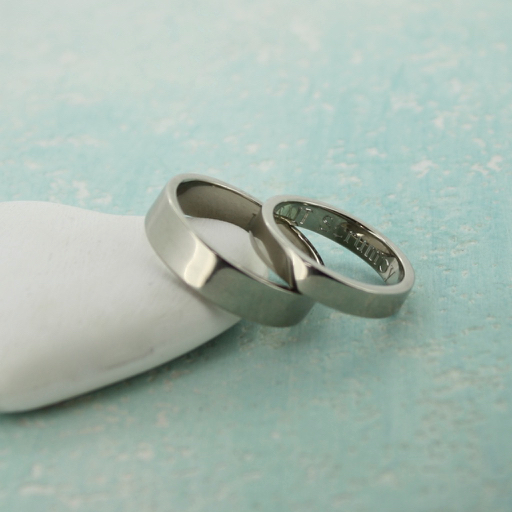 Alternative widths or shapes of rings available on request in advance of the day. 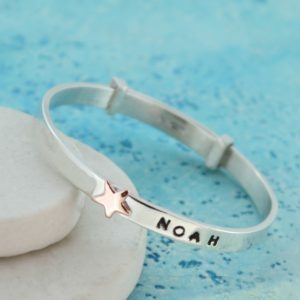 Please allow at least 10 days for me to purchase the metals. 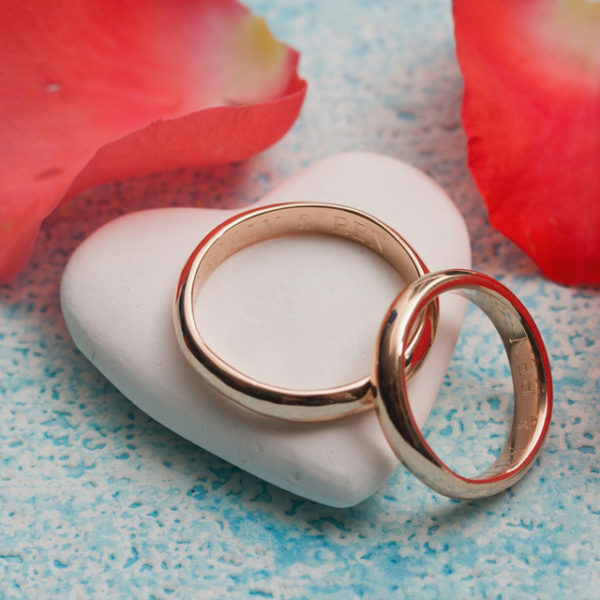 If your engagement ring is an unusual shape and you would like your wedding ring to fit around it, please send me a photo of your ring first to be sure it is possible. 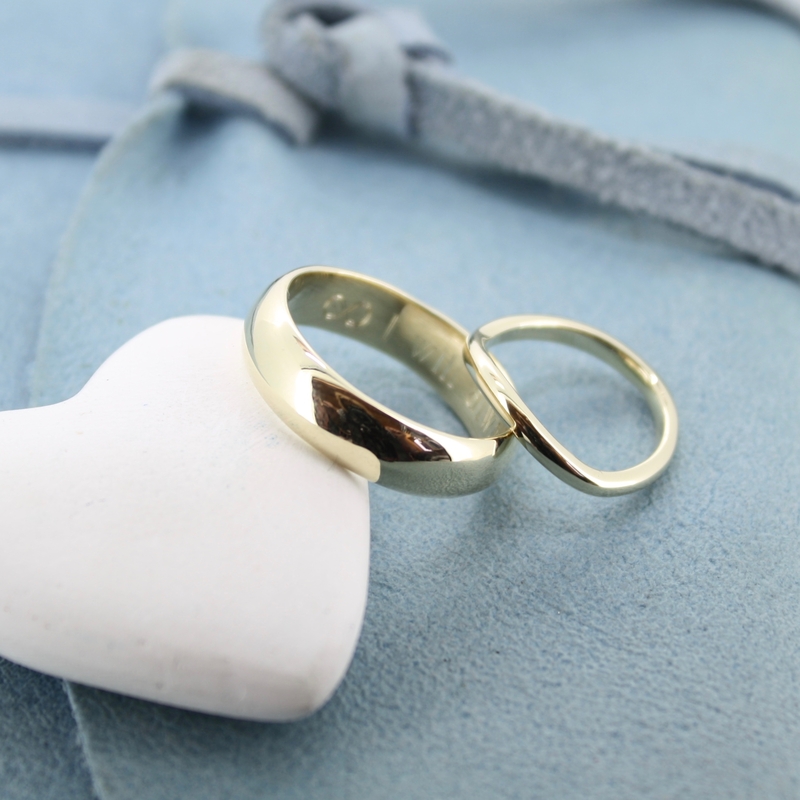 Please note that it is not possible to engrave a shaped ring. 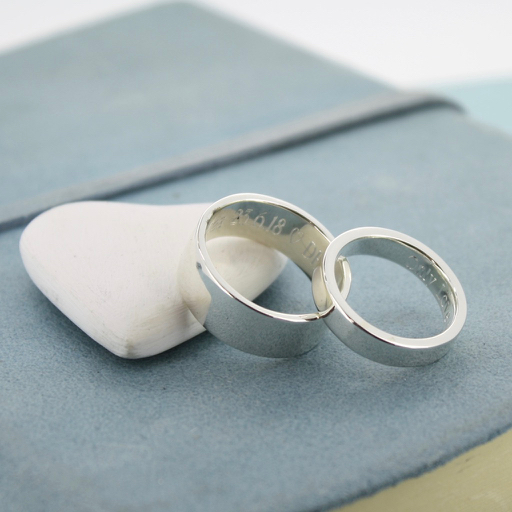 If you would like platinum rings, we will usually make the rings in silver (or wax, if an unusual shape) and send it to a casting company who will make a rubber mould from your silver ring and then cast it in platinum. 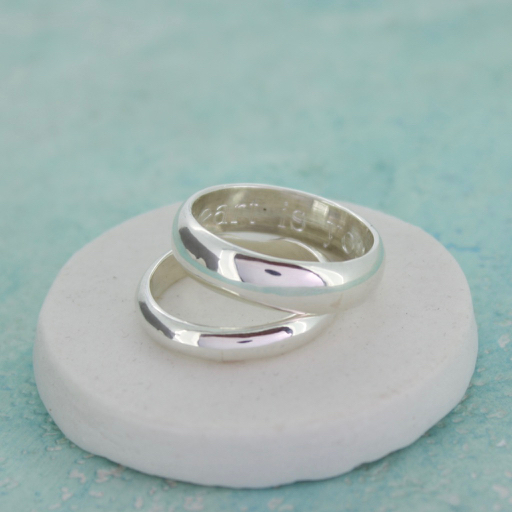 This will mean a delay of up to a month in you receiving the finished ring and will incur an additional casting charge..
You will need to book your experience in advance and these usually take place at weekends, though other days may be available. You and your partner will have exclusive use of the studio on the day. Please wear comfortable clothing with no hanging scarves etc. for safety reasons. Long hair should be tied back and you will need to wear closed in shoes to prevent any accidental burns to the feet. 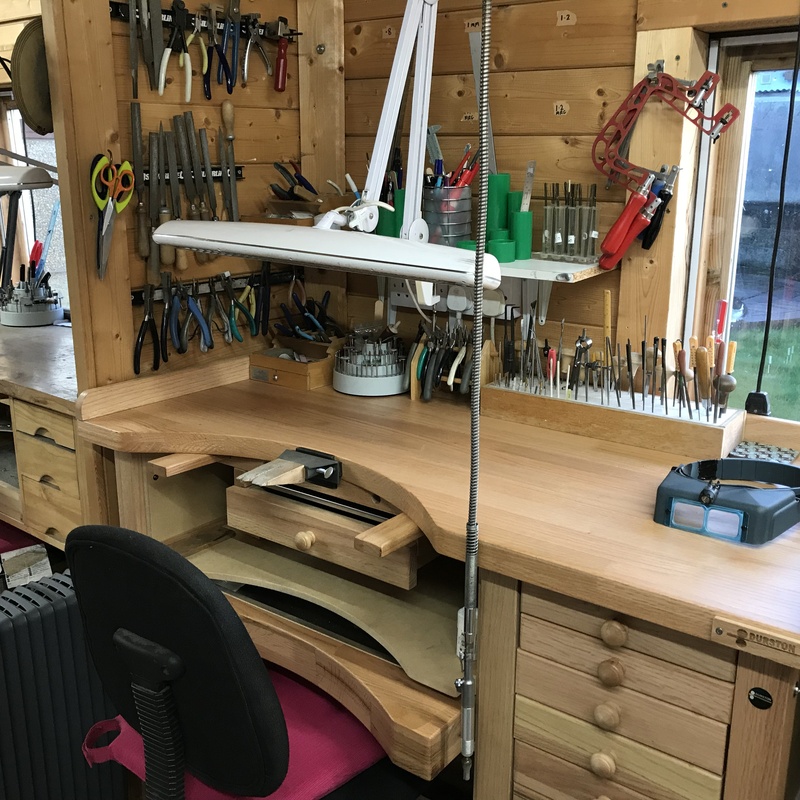 All tools and equipment are provided. Lunch will normally be a locally made Cornish pasty (beef or vegetarian) followed by dessert. We can cater for any dietary requirements and would need to know in advance if you require alternatives. This experience is unsuitable for those under the age of 16. These prices are approximate and are in addition to the £300 workshop fee. The price of gold can fluctuate. Once you have purchased the workshop and we have agreed on the width and profile of the rings, I will send you an invoice for the gold and will purchase it upon payment.. 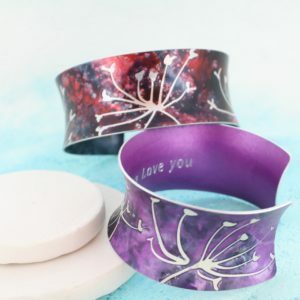 I list the most popular sizes but if you require something different, I can give you a quote.